Some music you can take at face value, while other demands that little more attention. 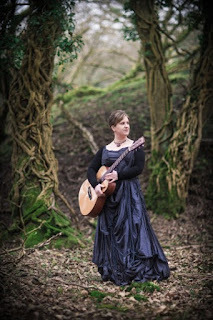 Approach the new album from Ange Hardy from the first angle and a fabulous eclectic mix of sound variety will thoroughly enchant you. Dig deeper into the background of this project and further riches will emerge in a dazzle of romanticist enlightenment. Of course the recommendation is to fully embrace all aspects of ESTEESEE and absorb your mind into the magnificent detail of Ange’s valued attempt to revive the words of Samuel Taylor Coleridge to a contemporary audience. Taking inspiration from poems, stories, epitaphs, events and wider environmental context, Ange has conjured up a fourteen-track adulation to the life and work of this lauded English historical literary figure from the late eighteenth century. The album’s title is taken from initials of the subject’s name and through what is a fairly slick thirty-seven minute duration, it is difficult not to be smitten by Ange’s passion and creative nous for committing this project to song, verse and musical arrangement. Not surprisingly, funding was available from arts sources for this key project, and Ange has recruited well to formulate the album’s sonic appeal. The guest vocals of Steve Knightly and the various string accompaniments from Patsy Reid are the two names to leap out from the list of players, with perhaps the starkest contribution being the reading of Coleridge’s famous poem by broadcaster and artist Tamsin Rosewell. The emotive reading of ‘Kubla Khan’ almost anchors the record with its central position in the track list and is just one of several spoken parts to heap further focus on the lyrical content. Ange is credited with writing and arranging all the tracks and liberally references the lifting of many snippets from the works of Coleridge. Among the many fascinating facets of this album, the sheer elegance of the standard three minute ballads all sung beautifully and decorating the message that Ange wants to get over, which is no more or less than modern day recognition of the subject’s life. Her previous work has courted honours both for album content and vocal ability, and there is little doubt that ESTEESEE will be lapped up by folk traditionalists and historians alike. This is by no means the limit of the appeal evidenced by the gorgeous presentation and allure to educate where perhaps many intriguing minds have not been before. To maximise the immense pleasure from plunging into the depth of this record, exposure to the concise and informative insert sleeve is recommended and certainly the insight is better explained through Ange’s words than review regurgitation. If you want to learn more about Coleridge’s links to the philosophical term pantisocracy, his self-penned epitaph, the trail in Somerset and Devon named in his honour and deeper analysis of his relationships, Ange has provided a super source via her imaginative writing. Numerous candidates for radio play to at least showcase the unrelenting appeal of Ange’s vocal ability can be found in ‘My Captain’, ‘Friends of Three’ and the title track ‘Esteesee’. While Ange is keen on vocal collaboration and harmony, her own skills reach unsurpassable peaks when left alone to flourish on the open stage. 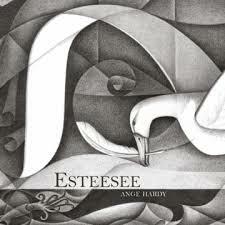 ESTEESEE is pure archetypical folk music, dark in places, explicit in narrative and wonderfully packaged. The jolly and jaunty persona to this album gives it a sense of renewal and if the ubiquitous revival of romantic poetry is once again in our midst, then Ange Hardy can be a chief protagonist. Otherwise just marvelling in the magnitude of this project will broaden your mind, engage your listening senses and add immense value to your overall enjoyment of music.